Not valid after 5pm on Saturday night. Not valid for special events. 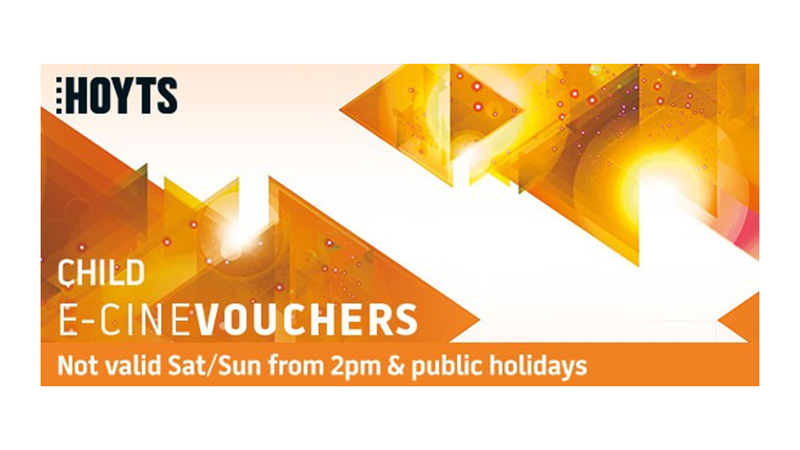 Please ensure your email address is correct in your account as these E-Vouchers are emailed directly to you. Surcharges for 3D and/or VMax sessions and booking fees may still apply upon redemption. 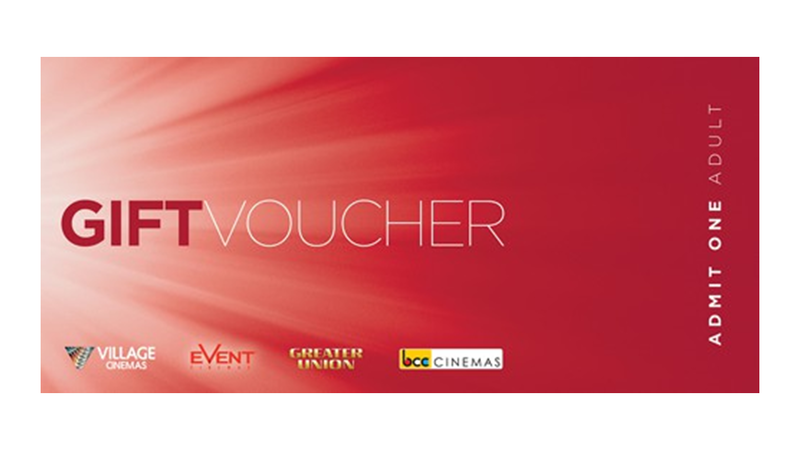 E-Vouchers are valid for to 5-8months. Valid any session time, including Saturday nights after 5pm. Not valid for special events. Valid 7 days, except after 5pm on Thursday, Friday and Saturday, cannot be used on public holidays. Not valid for special events. Valid 7 days, except after 5pm on Thursday, Friday and Saturday. Cannot be used on public holidays. Not valid for special events. Valid at Village, Event, Greater Union and Birch Carroll & Coyle Cinemas across Australia, does not include entry into a Gold Class session. 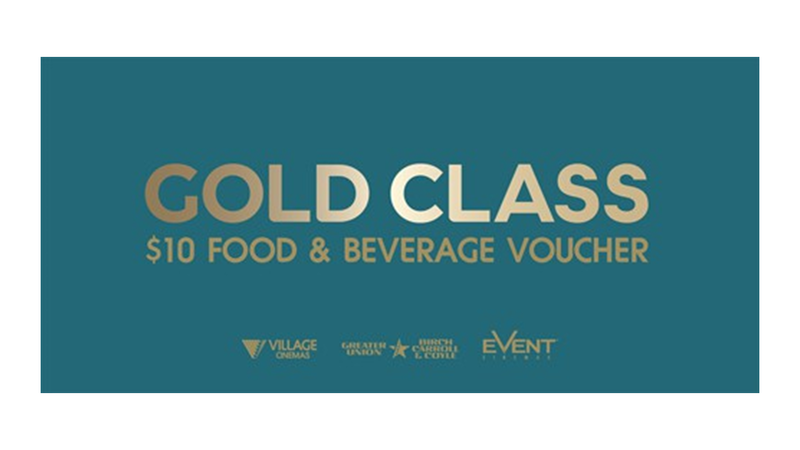 Minimum purchase requirement: This voucher must be purchased with additional Gold Class Vouchers, transaction must include 2 Gold Class E-Vouchers or 2 Gold Class Off-Peak E-Vouchers plus at least one other e-voucher of any of the following: Gold Class E-Voucher, Gold Class Off-Peak E-Voucher, Gold Class Food and Beverage $10 or $30 E-Voucher. Does not include standard session e-vouchers. Not Valid on public holidays or after 2pm on Saturday or Sunday. Not valid for special events. – for any recliner cinema, no upgrade fee for recliner cinemas. 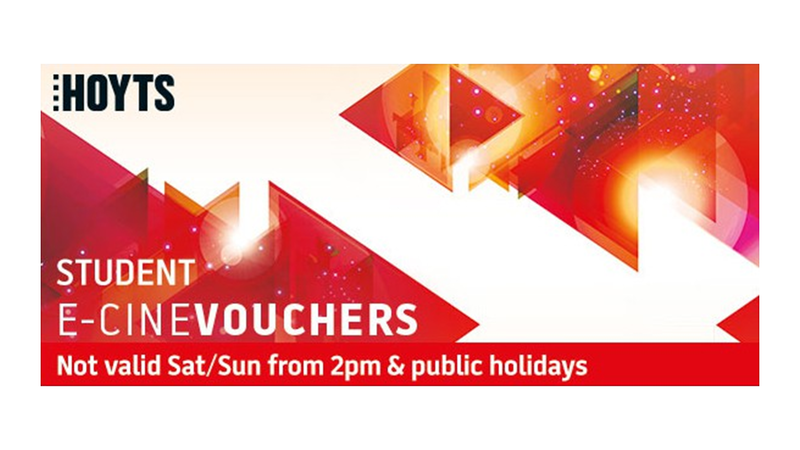 Please ensure your email address is correct in your account as these E-Vouchers are emailed directly to you. 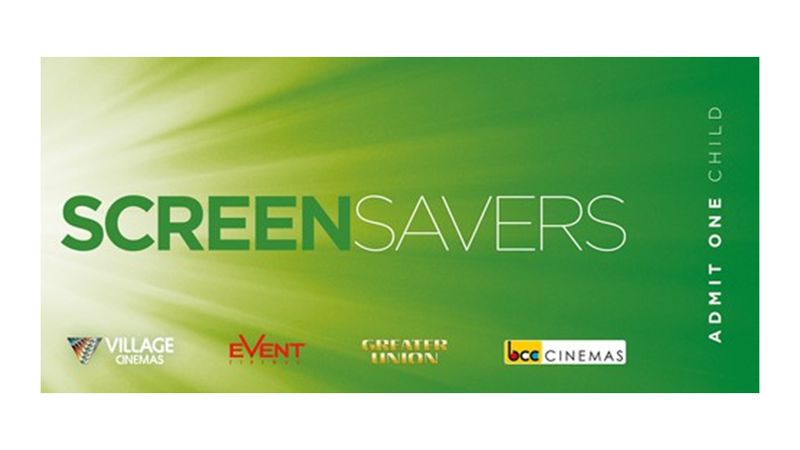 E-Vouchers are valid for to 4-6 months. – and is valid until the expiry date indicated and cannot be exchanged, extended or replaced after this date. 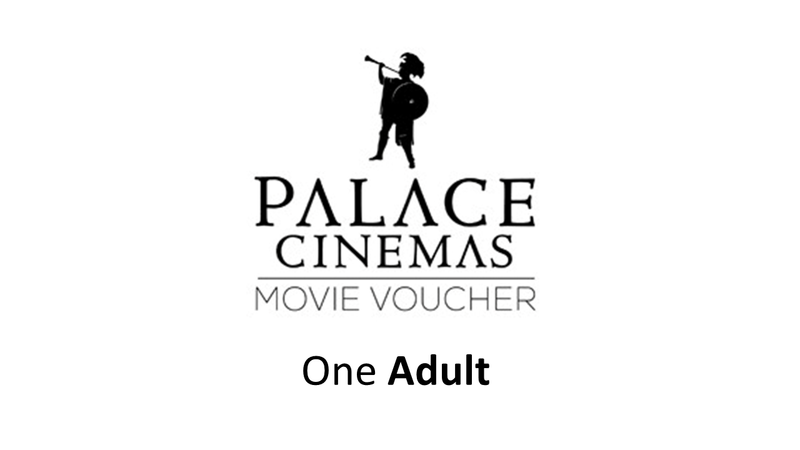 Valid at Palace Cinemas in VIC, NSW, QLD and ACT only. Not valid for film festivals, special events or alternative content. Surcharges will be payable at the box office for 3D sessions. 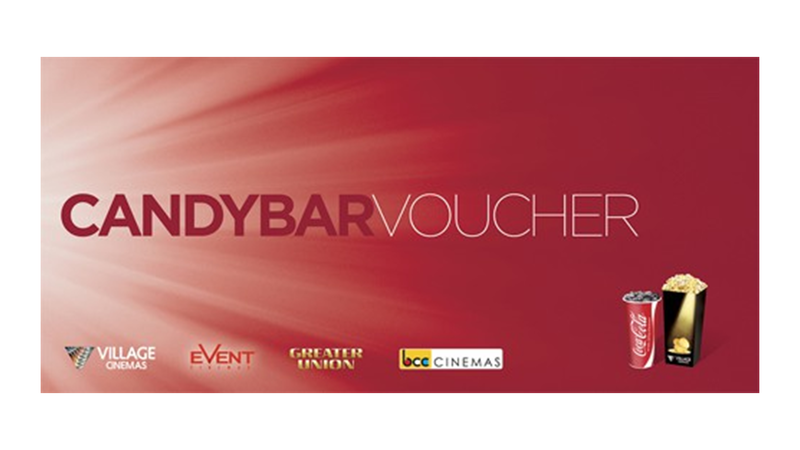 Vouchers can not be used for online booking and can only be redeemed via the box office. Please ensure your email address is correct in your account as e-vouchers are emailed to this email address. 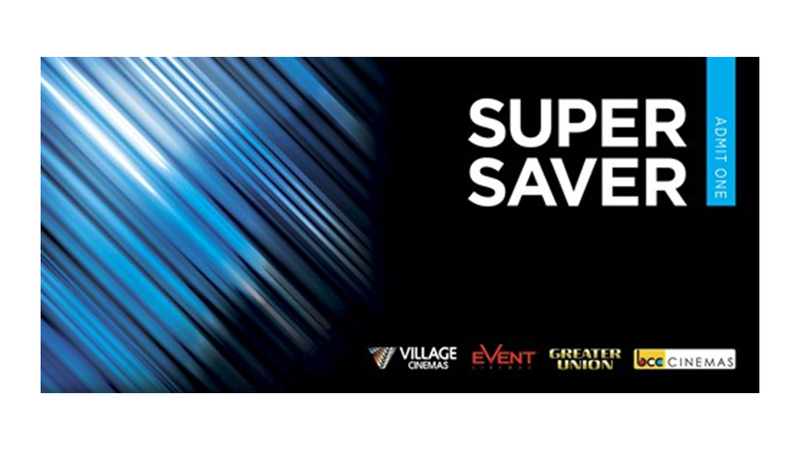 These e-vouchers are emailed the same or next business day after placing your order, they are only sent during business hours (Monday-Friday 9am to 5pm Melbourne time). 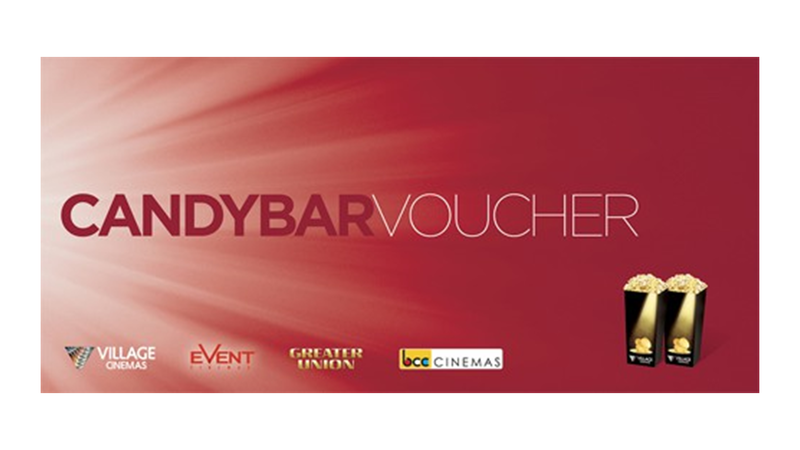 Valid at Village, Event, Greater Union and Birch Carroll & Coyle Cinemas across Australia, does not include entry into a movie session. 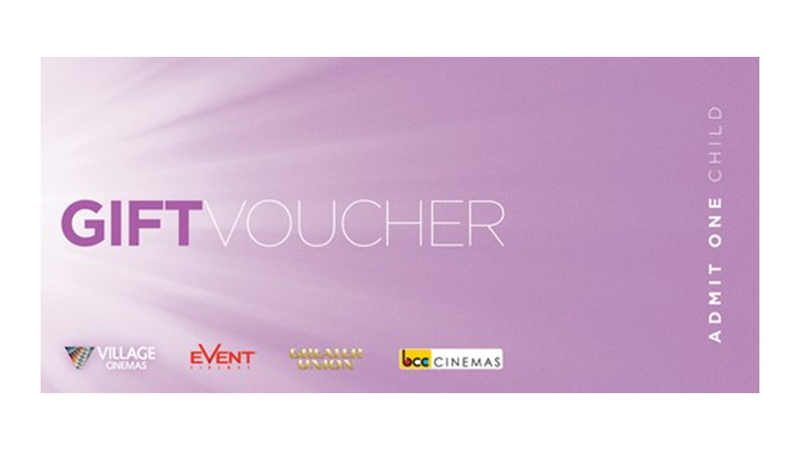 To view the E-Vouchers available please click the button below. Maximum of 10 of each ticket type allowed per transaction. 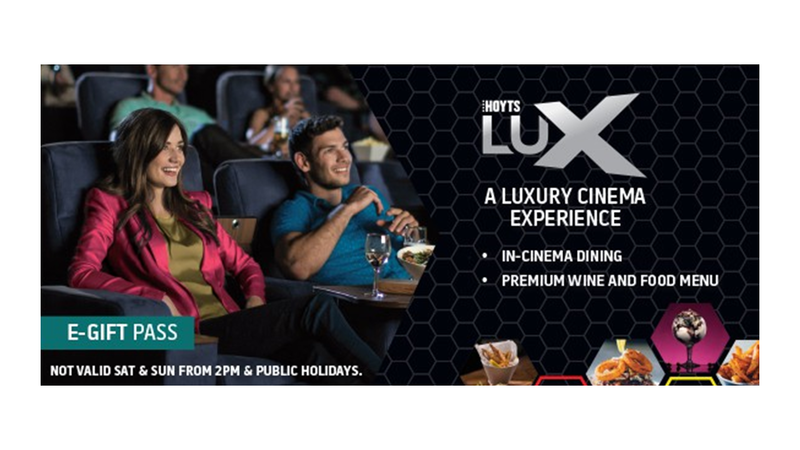 You will receive one email from Hoyts per ticket type purchased. Select any 4 of these ticket types: Adult National, Adult Unrestricted, Child National, Child Unrestricted, Off-Peak - any combination. 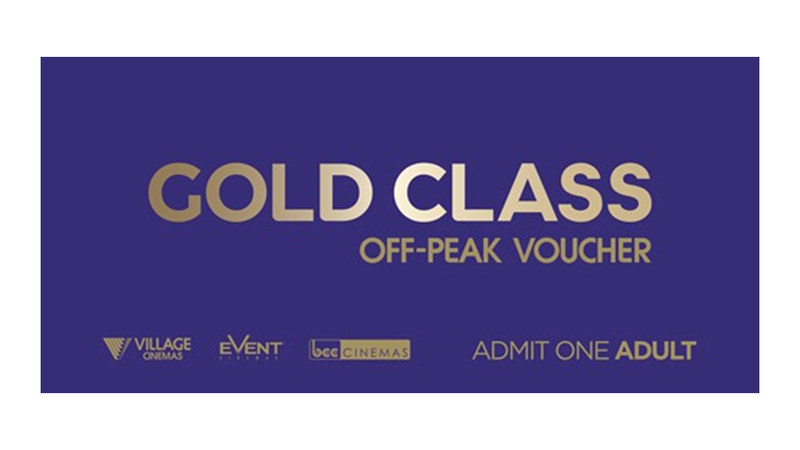 Select any 4 of these ticket types: Gold Class, Gold Class Off-Peak, Gold Class $30 F&B, Gold Class $10 F&B - must include 2 Gold Class or 2 Gold Class Off-Peak, the 4 can then be made up with other Gold Class tickets or Food & Beverage Vouchers. 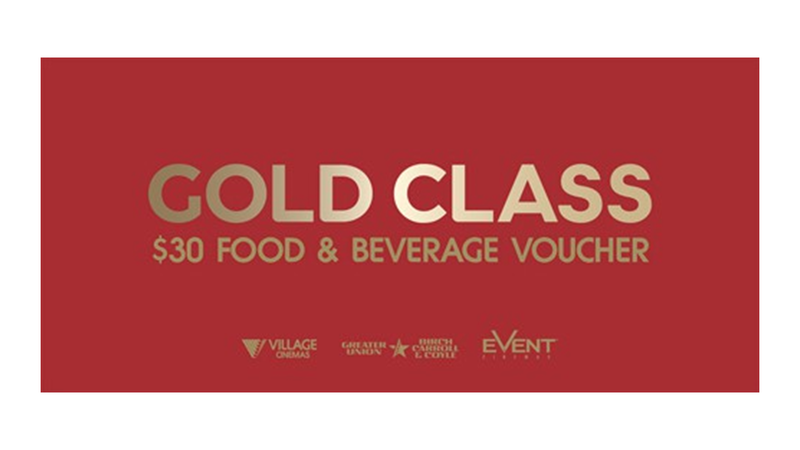 You will receive one email from Village Cinemas per ticket type purchased.